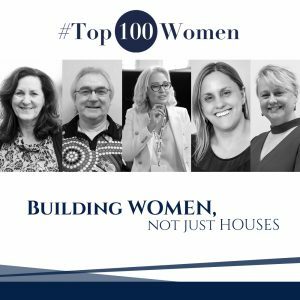 The Top 100 Women hosted the first of many panels on Friday, launching the “Building Women, Not just Houses series” at the Sydney Build Expo. With a knock out event and over 6000 registrations at the Expo, the panel consisted of industry experts: Metricon Homes, YWCA, North Coast Community Housing & City West Housing covering not only gender diversity but how educating women and girls at a young age could potentially put a stop to the trend of Women over 55 y.o being the largest group on the social housing waitlist. Why did we not know this? Stereotypically, our roles have changed as women. Looking back to our own grandmothers they usually surrendered the opportunity to work and stayed home to raise children. (There is no right or wrong here might I add, but just a trend that should be noted.) What this means is that their skills within the workforce stopped expanding as their priorities shifted. With a husband as the breadwinner, families were raised and lives were lead. This mean’s that we ticked the boxes of society right? So what happened when the breadwinner left? We are then faced with a large number of women who are deemed ‘unskilled’ without the capacity to re-enter the workforce as their family income unforeseeably disappeared. The biggest responsibility we have as women and girls within this sector is to change this. But let us not exclude the guys as they have daughters too! The Top 100 Women covered off all topics from what leading companies such as Metricon are doing to upskill women, as well as letting in some secrets of what the Top 100 are building behind the scenes to grow women both formally and informally to acquire their own skills and expand on their careers. We are told we need not 500,000, not 750,000, but in fact, we actually need 1,000,000 homes within the next 10 years to even remotely cover the social and affordable housing problem. So exactly how are we upskilling women NOW to ensure we stop the trend moving forward? How can you be part of the solution? Register today to find out how the Top 100 Women can do to help you upskill the women in your organisation.